Happy Sunday lovelies! 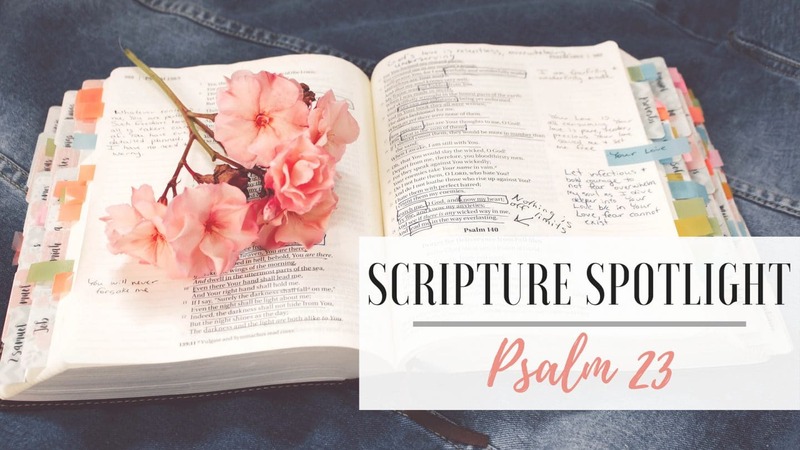 I’m starting a new series called Scripture Spotlight where I highlight a verse, chapter or book from the Bible that I’ve been inspired by lately. The book of Psalms is one of my favorites in the Bible. It’s a collection of beautiful poetry and songs where David tells us of the unfailing love, mercy, beauty, and justice of our father, friend, and Most Holy God. David’s writing and his trust in God inspires me to walk more closely and love God more with all my heart, soul and strength. The first sentence alone is quite powerful. When we say that God is our shepherd, we should come from a place of humility and trust. In order to have a shepherd, we need to see ourselves as a sheep; a not so intelligent animal that needs someone to provide, guide and protect them. 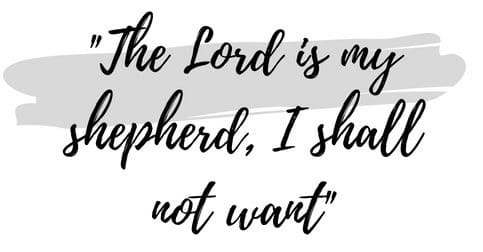 God as our shepherd is the epitome of divine love. Who are we that He should be mindful of us? Yet He chooses to be our shepherd; guiding, protecting and providing for our every need. “We shall not want.” I believe this statement does not necessarily relate to material prosperity. Rather, it tells us that God will not withhold any good thing from us. In His infinite wisdom, He gives us what we need when we need it. We have trust in His plans and His timing as perfect. This Psalm also highlights what a blessing we have in the Almighty God as a Father. We should trust that He leads us in the ‘right paths’ and ‘green pastures’ to bring restoration. However, this verse doesn’t paint a picture of an easy life because at some point we may walk through the darkest valleys – whether its financial hardship, difficult relationships, times of depression or anxiety- we know that it is not the destination but only a means to an end because we are only ‘walking through’ (verse 4). And while we walk through, we don’t need to fear because we know that the ever loving, ever merciful, ruler of the universe, God, is right there with us, taking us through the fire which I like to think of as a period of refinement because it ultimately leads to the development of our faith and character. When I read verses 5-6, I just think wow, what an honor. Even in the presence of our enemies, God prepares a table before us. God lifts us up in the face of oppressors. He brings peace even in trying times. When everything seems to be working against us, we need to go back to the table that God has prepared for us. We should not fret but rather bask in God’s love and enjoy His feast with full confidence that He has made us overcomers in every situation(Romans 8:37 NIV). He ‘anoints us’ and ‘makes our cup overflow’. We are all anointed to play a specific role in the kingdom of God. Our life’s purpose can be found in fulfilling that role. God also shows that He is a God of abundance. We can live a life of fullness here on earth. Again, not necessarily in material things. Abundance also comes in fruits of the Spirit like peace, joy, love, etc which are even more important. Verse 6 is one that we always said to close prayers while I was growing up. Now that I think about it, it is an all-encompassing blessing. When we say that verse, we proclaim that goodness and mercies (or love) will follow us all the days of our lives- wow! and we will dwell in the house of the Lord, forever WOW! I was running errands randomly this week when the Holy Spirit opened my eyes to the meaning of that statement. It is one that describes intimacy with God to the point where we live in His house forever. Therefore, He is our place of refuge, of rest, of supply, of peace. We can make His house our home. WOW! Powerful. 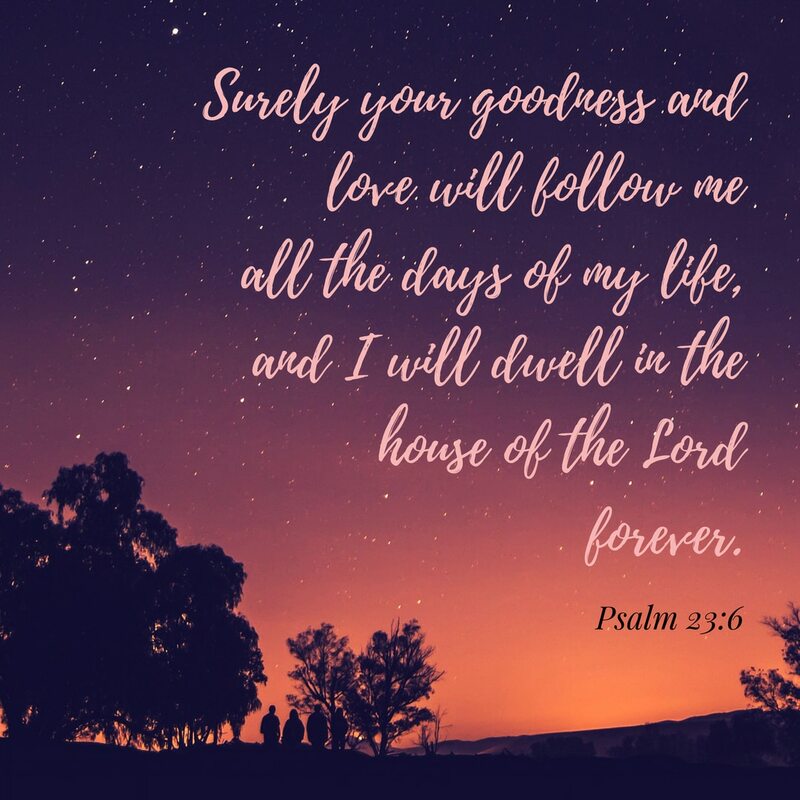 Psalm 23 shows that the love God has for his children is never ending and as his children, his house should always be our dwelling place.